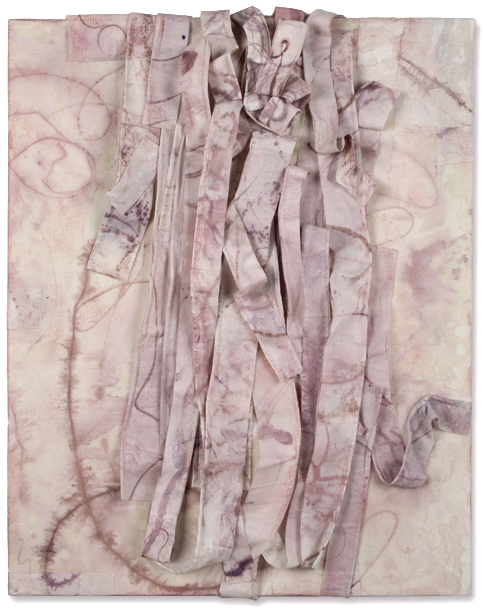 Apostrophe was one of nine works included in the group exhibition, Waxing Poetic, curated by Katharine Dufault. 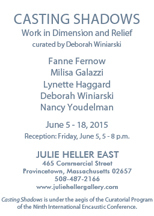 Participating artists: Cecile Chong, Michael David, Katharine Dufault, Gene Kiegel, Melissa Rubin, & Deborah Winiarski. 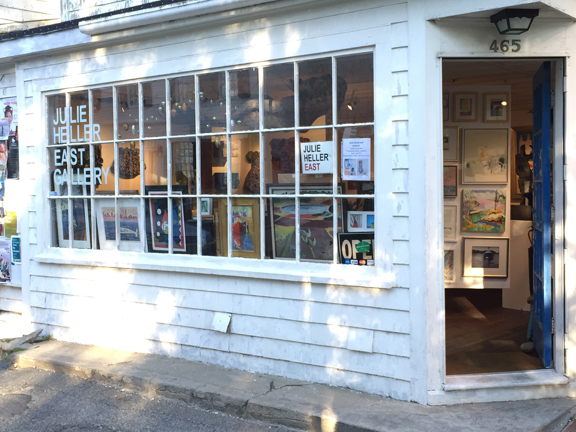 Pelham Art Center – September 14 – October 27, 2018. 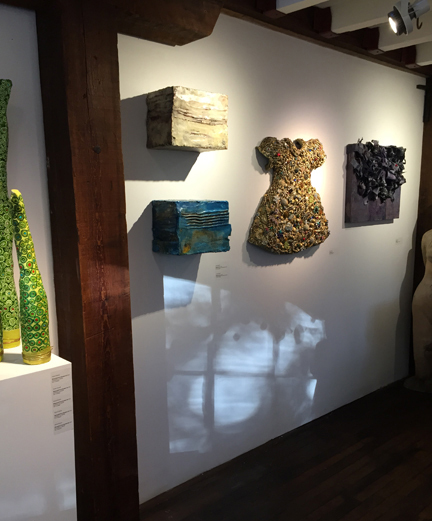 Click on thumbnails below to view works included in the exhibition. 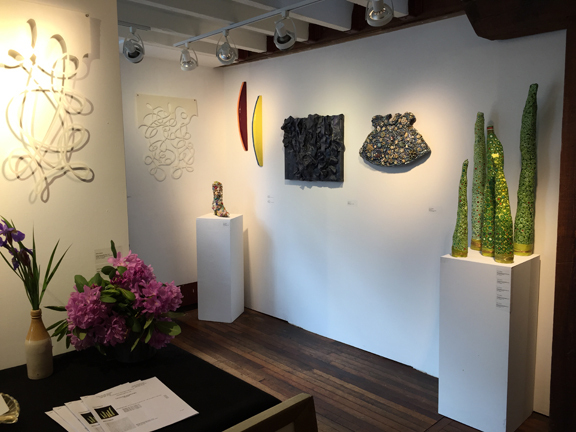 The Art Students League of New York – September 4 - 30, 2018. 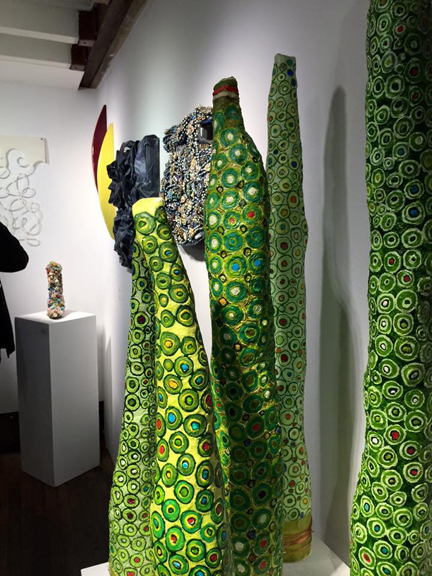 A slideshow preview of the exhibition can be viewed at here. 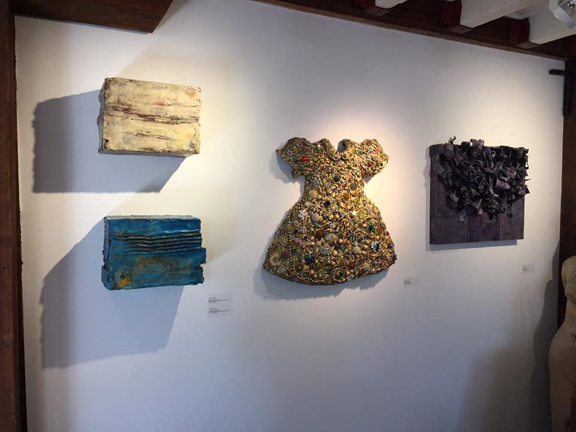 Mixed Media, Collage, Painting and Dimensional Art. Fabrication appears in the April 2018 issue of ProWax Journal. 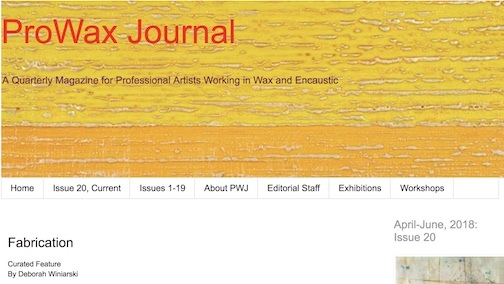 Contextual appears in the January 2018 issue of ProWax Journal. 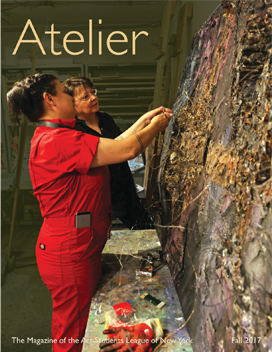 Interview: On Teaching is included in the Fall 2017 issue of Atelier. 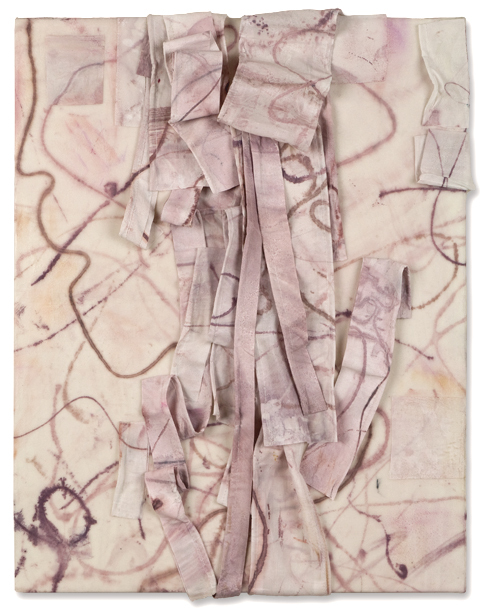 The conversation continues in Linea, the online journal of The Art Students League of New York, where there's an extended discussion on encaustic as a medium, encaustic history and this artist's involvement in the encaustic community. 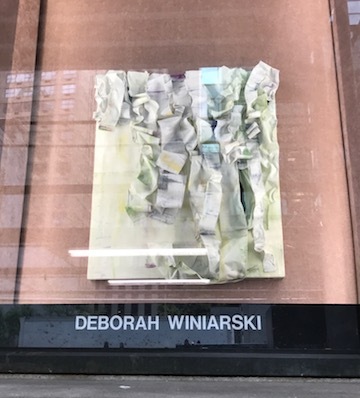 Gallery Lecture: The Art of Appropriation with Deborah Winiarski at The Art Students League of New York. located at 215 West 57th Street, New York, New York 10019. Registration is open at The Art Students league of New York for the 2017-2018 regular session. Monday-Friday, 1:00 p.m. - 4:45 p.m. and 4:50 p.m. - 6:50 p.m. 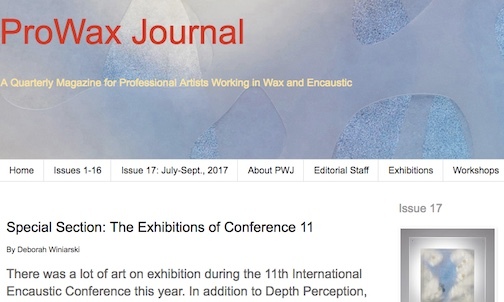 The Exhibitions of Conference 11 appears in the July 2017 issue of ProWax Journal. 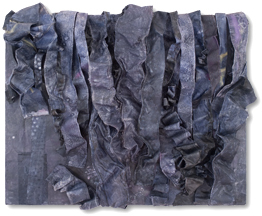 Nighttide was included in Black Tie (optional), an invitational exhibition at Adam Peck Gallery in Provincetown, Massachusetts. 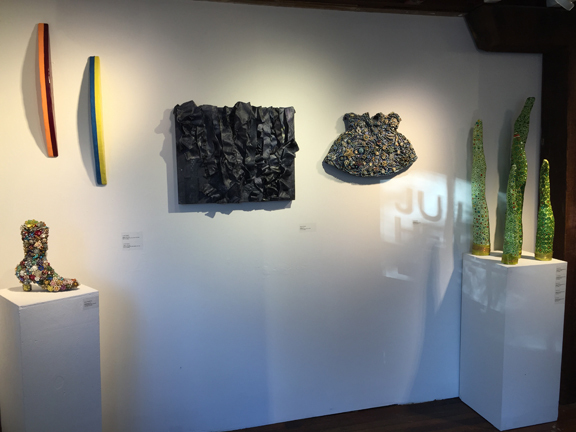 All Others Pay Cash has been juried into Alternative Wax, a juried exhibition at Kobalt GalleryJune 2 – 8 in Provincetown, Massachusetts. 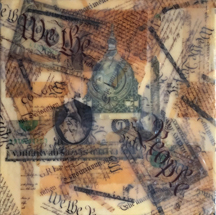 Encaustic and the Photographic Image appears in the January 2017 issue of ProWax Journal. 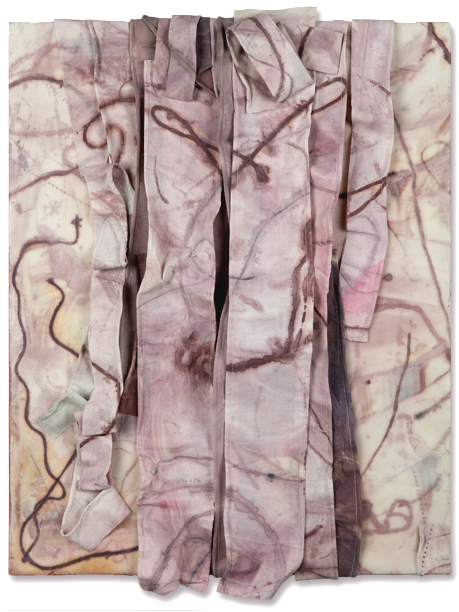 Pleased to be included in the article, Life Before Wax, written by Joanne Mattera for ProWax Journal. 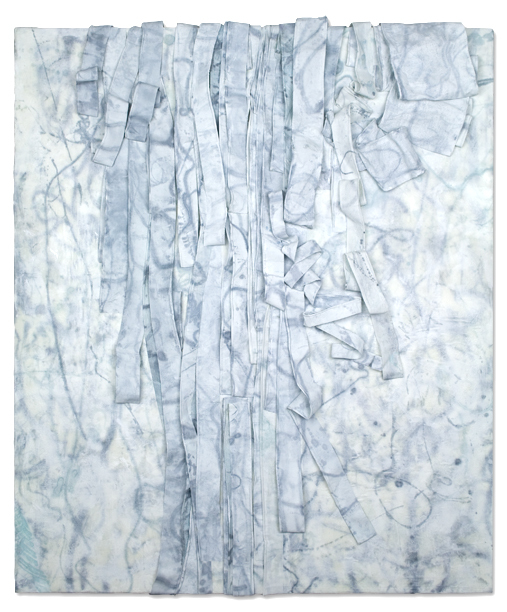 Lines Written III has been juried into New York Artists Equity's annual Membership Exhibition taking place at Equity Gallery in New York City. Many thanks to exhibition jurors David Clements, Associate Director, Tanya Bonakdar Gallery; Jill Conner, Art Critic, Curator and Founder of Artists Studios; Emie Diamond, Founder of The Curateur Collective; Peter Gynd, Artist, Independent Curator and Director of Lesley Heller Workspace; and Emily Lenz, Director of D. Wigmore Fine Art. 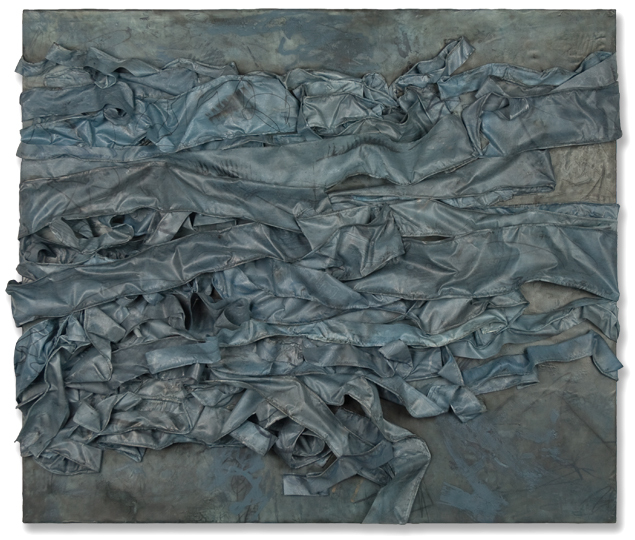 Beauty and Truth: The Art / Science Connection appears in the October 2016 issue of ProWax Journal. 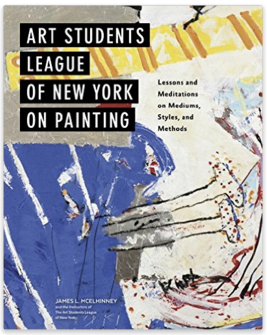 Registration is open at The Art Students league of New York for the 2016-2017 regular session. Poetics of the Found appears in the August 2016 issue of ProWax Journal. 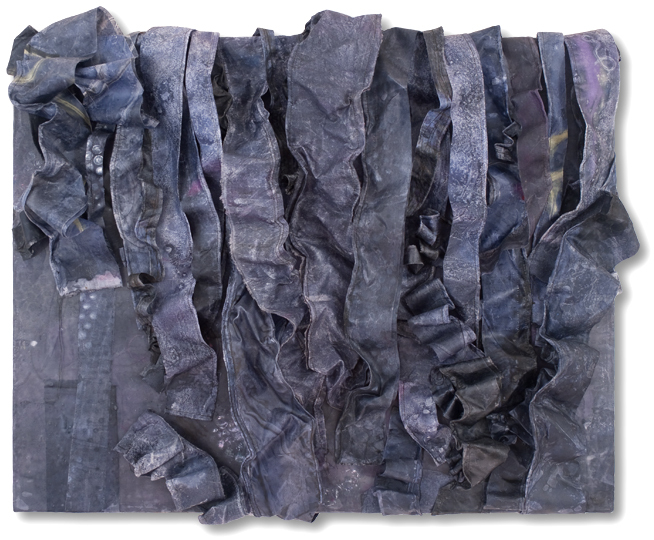 Lines Written III and Prelude will be on exhibition in 11th Annual Encaustic Invitational: Length x Width x Depth at Conrad Wilde Gallery in Tucson, Arizona. April 2 - May 21, 2016. Digging Deep appears in the March 2016 edition of ProWax Journal. 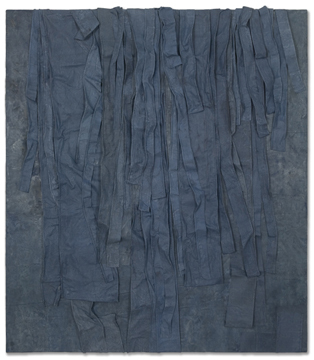 Elizabeth Clement Fine Art, Boston, Massachusetts, to include Untitled No. 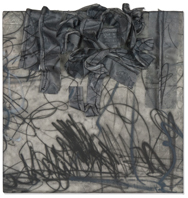 3: Black and Grey and other works at Art Wynwood in Miami, Florida, February 11-15, 2016.
by James L. McElhinney. Published by Watson-Guptill Publications, Berkeley, 2015. Art and Social Consciousness appears in the November 2015 edition of ProWax Journal. 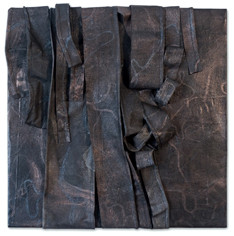 Now represented by Elizabeth Clement Fine Art, Boston, Massachusetts. 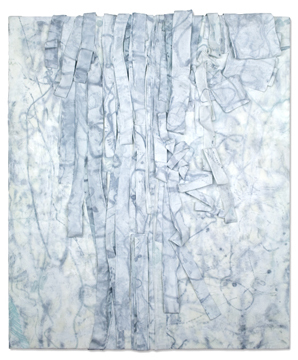 White Birches III is one of several works included in the Nineteenth Annual Boston International Fine Art Show, October 22–25, 2015 – Boston, Massachusetts. 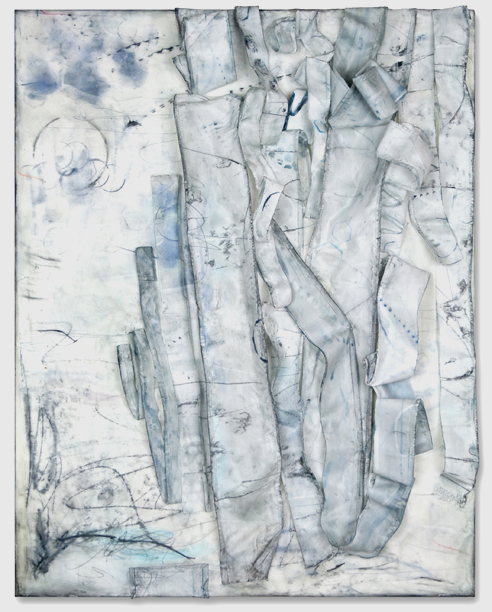 Lines Written III will be on view in the Annual Instructors Exhibition at the Phyllis Harriman Mason Gallery at The Art Students League of New York (through September 29th). Registration is open for the 2015-2016 regular session. Mixed Media, Collage, Painting and Dimensional Art takes place Monday-Friday, 4:50 p.m. - 6:50 p.m.
Off the Grid appears in the August 2015 edition of ProWax Journal. 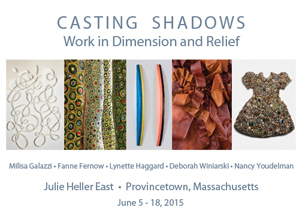 Curatorial Project & Exhibition: Casting Shadows: Work in Dimension and Relief at Julie Heller East in Provincetown, Massachusetts. 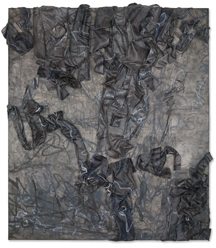 This curatorial project was under the aegis of the Ninth International Encaustic Conference Curatorial Program and brings together five artists whose work assert themselves as unique objects in space . . . casting shadows. 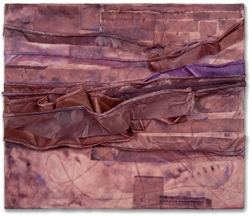 Click on thumbnails below to view installation images. 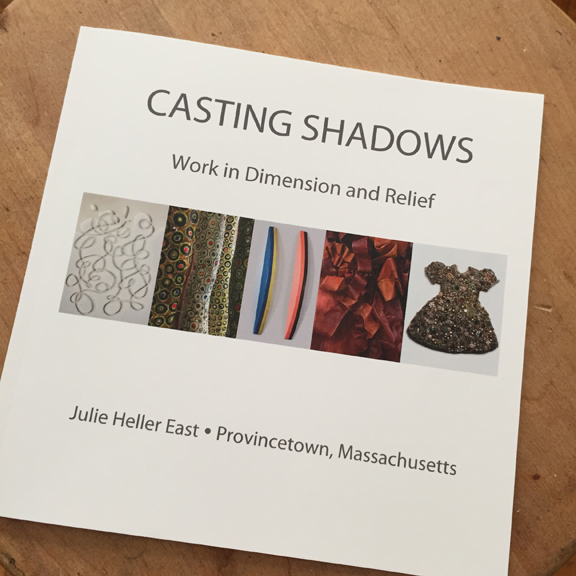 Exhibition catalog may be viewed here. 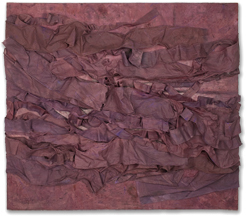 Amaranth, 2015, will be included in One + One at A gallery Art in Provincetown, Massachusetts. 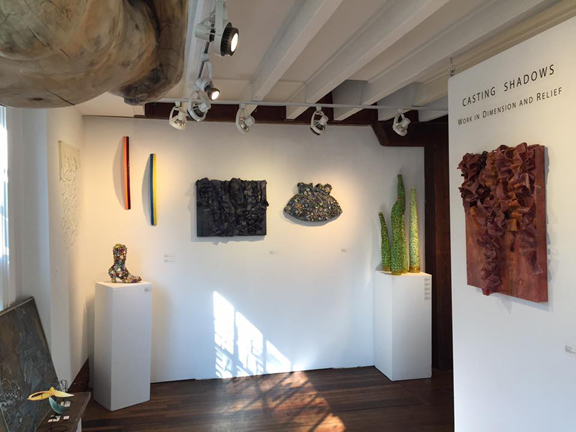 For this group exhibition, A gallery Art invited artists who had previously exhibited with the gallery to invite an artist of their choosing who had never exhibited with the gallery to hang side by side in the exhibition. 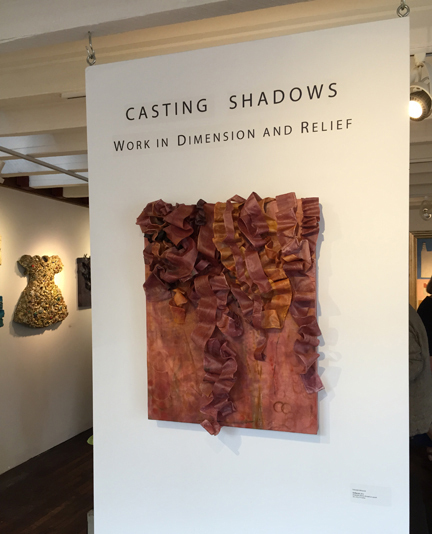 I invited Seattle artist, Joan Stuart Ross. 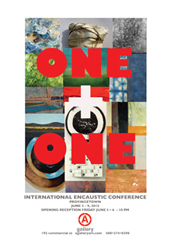 Exhibition catalog can be previewed here. 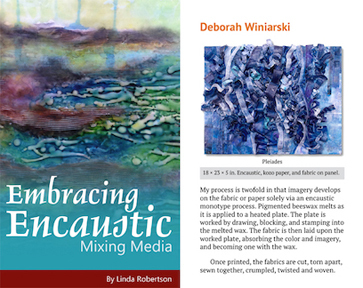 Recently Published: Embracing Encaustic: Mixing Media by Linda Robertson. 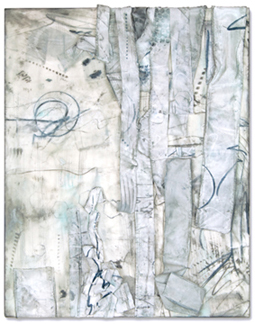 This second volume in the Embracing Encaustic series focuses on various mixed media techniques. 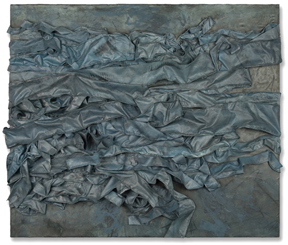 Pleaides 2013 is one of thirty-six artists' works featured in this volume. On The Horizon appears in the May 2015 edition of ProWax Journal. 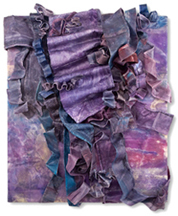 Fluidity appears in the January 2015 edition of ProWax Journal. 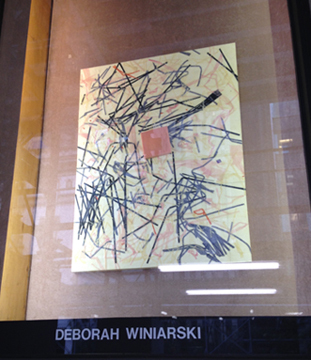 On display in the window of The Art Students League of New York, 215 West 57th Street, New York City. 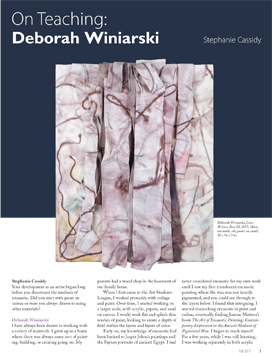 The Pull of Paper is my first contribution as Featured Artworks Editor to ProWax Journal, a quarterly online publication for professional artists working in the medium of encaustic.